and Letters (1952); the Bollingen Prize (1953); the $5,000 fellowship of the Academy of American Poets; the Loines Award for poetry of the National Institute of Arts and Letters (1948); and the Brandeis Award (1957). 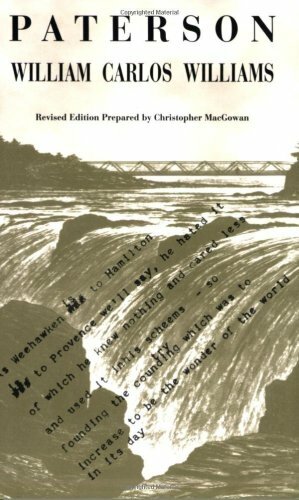 Book II of Paterson received the first National Book Award for poetry in 1949. Williams was named consultant in poetry in English to the Library of Congress for 1952--53. Williams's continuously inventive style anchored not only objectivism, the school to which he most properly belongs, but also a long line of subsequent poets as various as Robert Lowell, Frank O'Hara, and Allen Ginsberg. With Stevens, he forms one of the most important sources of a specifically American tradition of modernism. In addition to his earlier honors, Williams received two important awards posthumously, the Pulitzer Prize for Poetry (1963) and the Gold Medal for Poetry from the National Institute of Arts and Letters (1963).